Persönliche Website Peter Cooke Hier. The recordings on this website are governed by licence agreements between the British Library and the Licensors. The material is intended solely for the purposes of teaching, learning and research. Any misuse of the materials such as illegal file sharing, misquotation, misappropriation or decontextualisation constitutes a breach of these agreements. Please treat the materials with respect as a failure to do so constitutes a breach of the trust we have built up with the licensors. Track 1 [51:24] [Session one: 7 July 2010] Peter Rich Cooke (PC) was born in Cardiff 1930. Discussion of PC’s upbringing, parents and earliest memories and experiences of music. When PC was born his father was a leading motor mechanic in Cardiff at Howell’s store. PC’s mother was grand-daughter of a German (possibly Jew) who escaped from Brunswick in about the 1830s and married a recycler/rag and bones man, through whom she met PC’s father. Describes his roots as peasant. Moved from Cardiff to Western-Super-Mare when PC was 5 years old for father’s work, which switched to aircraft mechanics, which he did during the War. Mother played parlour piano, father loved to sing old Irish songs (in Anglo-Irish), which he’d learned from his father whose family had worked for a period in Ireland. Father was also a good chorister. PC had 5 brothers (he was number 4), all of whom were choristers at an anglo-catholic church. Description of early memory singing at Wells Cathedral aged about 8 or 9. Attended local grammar school, where music teacher informed PC’s family that PC ought to have piano lessons, which PC received from this man. PC learned how to sight read and learned much repertory. 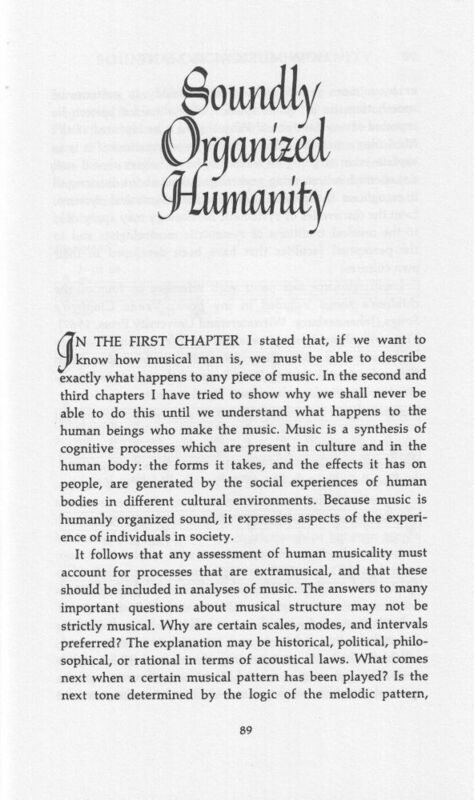 Description of other musical experiences , which led to him being able to study music at university. 1949 went to Cardiff University to study music. Discussion of parents’ attitude towards PC’s musical education. Recounts vivid memory of entire family singing in harmony around the piano and brothers arguing because they all wanted to sing harmonies and not the tune. Recollects making decision to pursue music aged about 15. Description of father’s encouragement of all brothers’ education. Discussion of why he chose Cardiff University, where he also did a PGCE before going into teaching. Description of repertoire he learnt at university, being entirely Western Classical music, but of other informal musical experiences singing and playing without notes. Description of learning cello with an adult orchestra and meeting some excellent string players with whom he played piano. Description of first teaching job in a boarding school Shropshire, including playing organ for a local church, followed by second job in a comprehensive school in Coventry. Description of his use of the recorder (wind instrument) as a useful teaching aid in schools, as well as a performer on this instrument. Description of next job as head of department at comprehensive school in Bristol, in the early days of comprehensive schools; students were very keen and high achievers. Description of widening the curriculum, following discussions with students and parents, leading – after three years as a teacher trainer – to his first trip to Uganda. 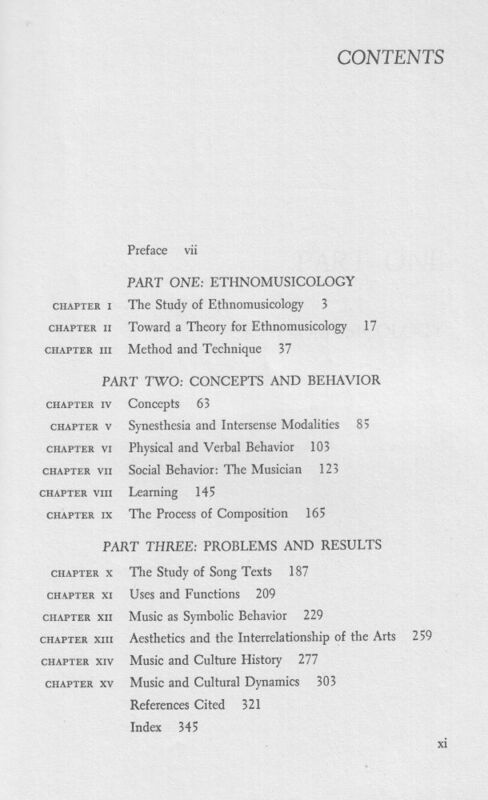 Description of the influence of The Beatles in his teaching and interest in World Music. 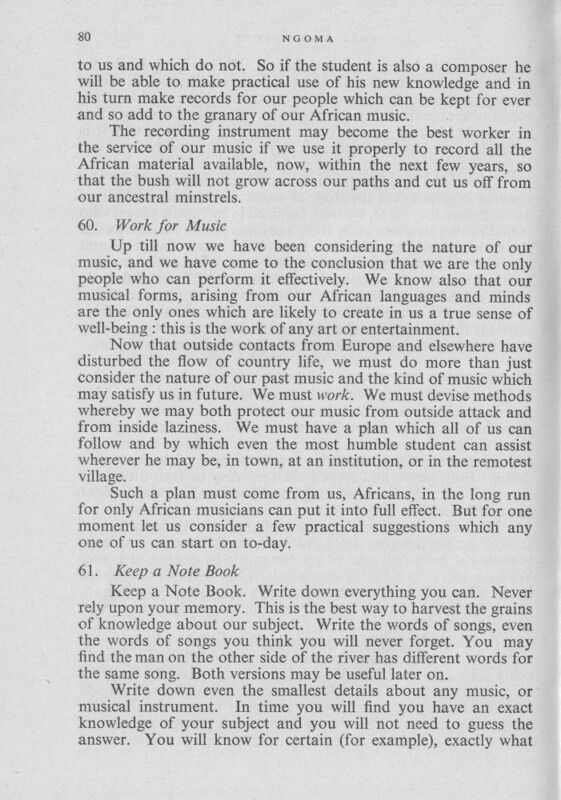 Description of how opportunity to train teachers in Uganda arose and of his research prior to leaving the UK for East Africa, including a meeting with Paul and Andrew Tracey whilst they were in London in 1964, where he received his first amadinda lesson (backstage before their show “Wait a Minim!”). 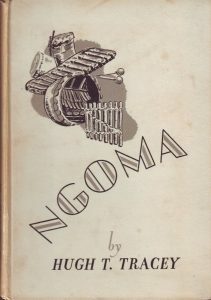 Description of records of African music that he had collected prior to going to Uganda. 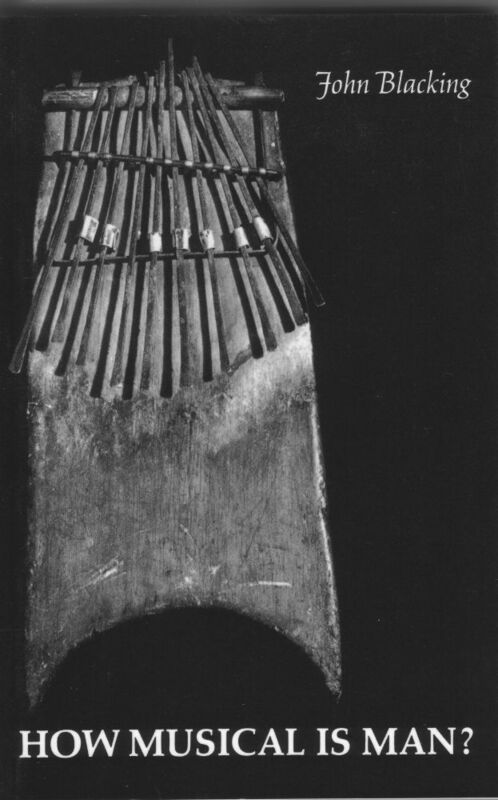 Remembers possibly joining the Society for Ethnomusicology before leaving for Uganda. 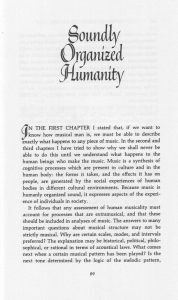 [25:55] Discussion of PC’s concept of ethnomusicology at this stage, which he describes as ‘nil’, since the word wasn’t known. Description of a note from Maud Karpeles saying the word should be avoided at all costs, since ‘Folk Music’ was fine. Description of first job in Uganda in a secondary school on Makerere University campus, which had been built up by expatriates. Description of music that already existed there including Western and some Ugandan music. Description of other teachers at the school, who were from all sorts of different backgrounds including many excellent Western instrumentalists. Discussion of what PC aimed to do in first instance, answering various questions: What should music education in Uganda be about? Where does the study of Ugandan music come into it? Remarks on how he enjoyed the challenge of being at the teacher training college where he could affect the syllabus, which often neglected Ugandan music. Description of what Ugandan music was being performed. 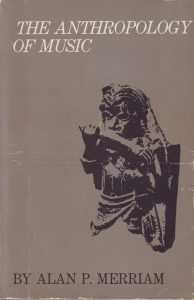 Remembers John Blacking’s research trip to Uganda in 1965 from South Africa whilst PC was there, during which he gave 2 short courses in African music, and encouraged PC to pursue his own research, and also conducted 2 field trips around Uganda with PC and others, making recordings (most of these tapes are archived in PC’s collection in BL). Description of Blacking’s impact on PC in terms of bringing a more anthropological approach to his way of researching. 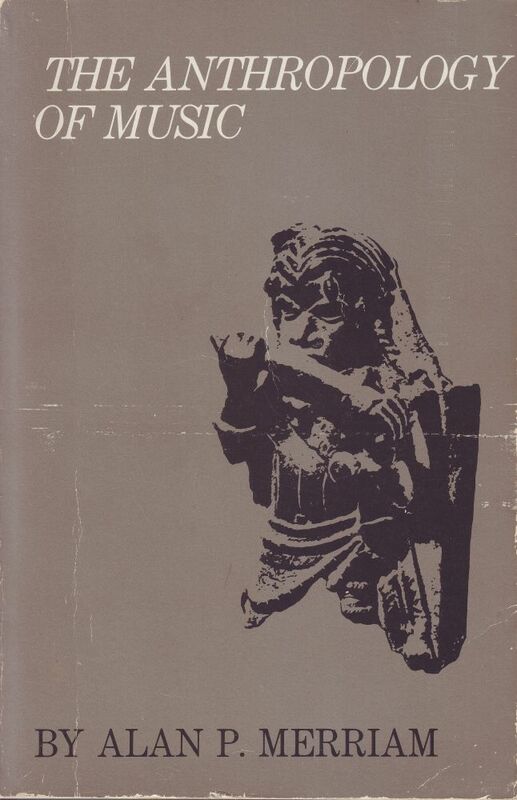 Description of Wachsmann’s trips back to Uganda during PC’s time there – in 1966 and 1968 (?) to give lectures and make more recordings and do more fieldwork. 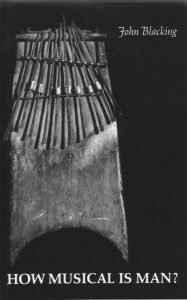 Further discussion of significance of Blacking’s and Wachsmann’s seminars for PC and for the shaping of African musicology. Mentions Ken Gourlay who accompanied Blacking on a recording trip to the Karamajong. 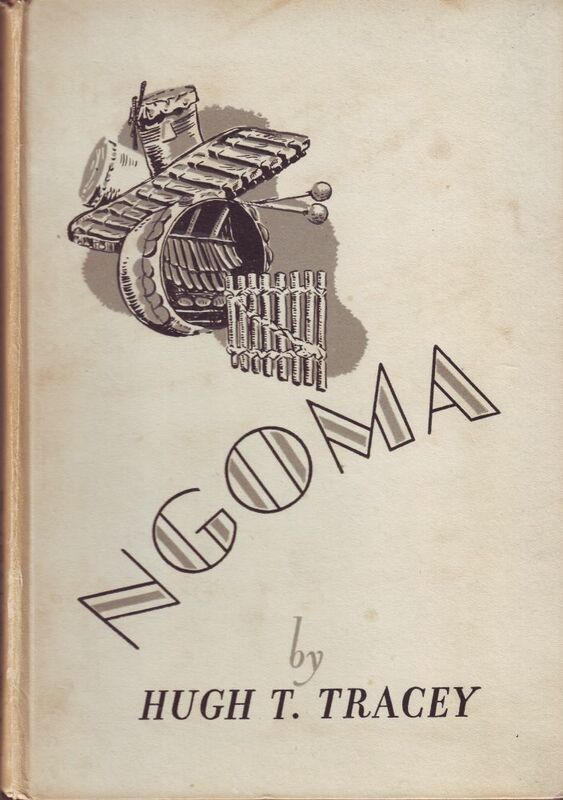 Further discussion of Blacking’s impact on PC, particularly in his research themes, such as a survey or flutes across Uganda, as well as his use of his own students in helping to conduct research in different regions – descriptions of his visits to students’ homes. 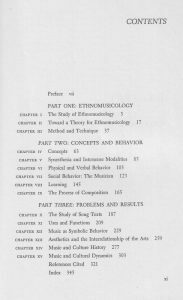 Mentions how he was influenced by Hugh Tracey in terms of the importance of documenting and classifying his recordings – and passing on these documentation sheets to his students for the recordings they made also. Remembers first reading Alan Merriam, as a result of meeting Blacking. Description of Wachsmann’s influence on PC, describing him as a man of few words, opposite of Blacking; memory of Wachsmann’s approach to making high quality recordings in various ways: respecting the individual musicians, what they wanted, their sound ideas and motivations, which PC reflects as slightly running against the grain of the folk music movement of the time; importance of seeking out and working with high quality musicians. [48:25] Description of PC visiting Uganda Museum in Kampala to find and use Wachsmann’s recordings initially and then later in the 1980s, when PC facilitated the copying and archiving of the collection, which PC remembers as a disaster as the Nagra that PC had brought over from Edinburgh University wasn’t cleaned properly while in use at the Uganda Museum. Interview with Peter Cooke (1 of 3). The ethnomusicologist talks about his research. Interviewer: Carolyn Landau. 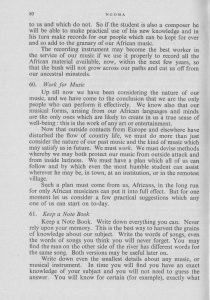 An Introduction to Music for Southern Africans (1948) / Die Folgen siehe HIER. Dieser Beitrag wurde am 20. Februar 2017 von JR in Afrika, Allgemeines, Biographisches, Ethnologie, Musik, Verstreutes, Volksmusik veröffentlicht. Schlagworte: Forschung in Uganda, Peter Cooke.